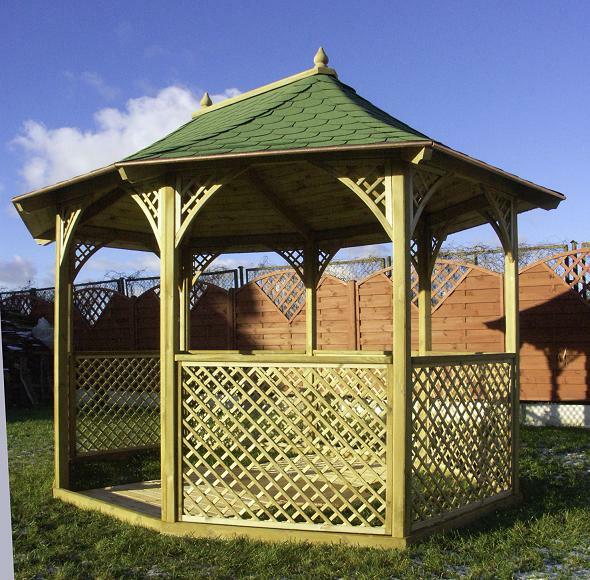 The Mozart Pavilion has a sense of space and elegance, the trellis work compliments the structure which is a very useful outdoor building. 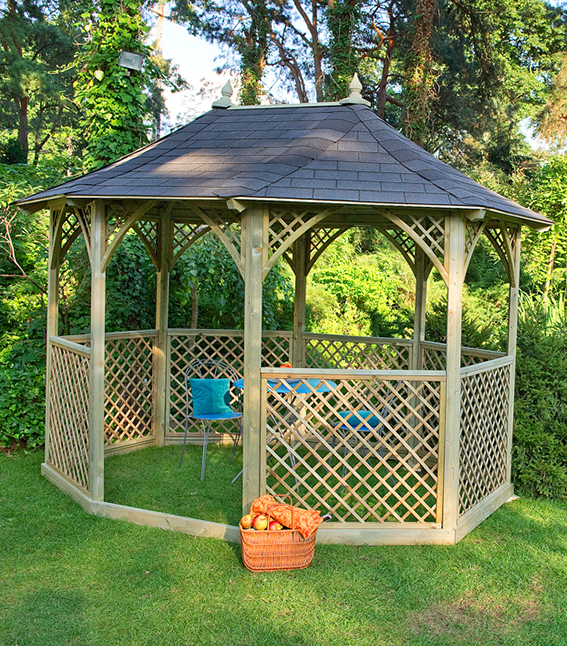 Enjoy this summer in your very own haven in your fantastic pavilion. 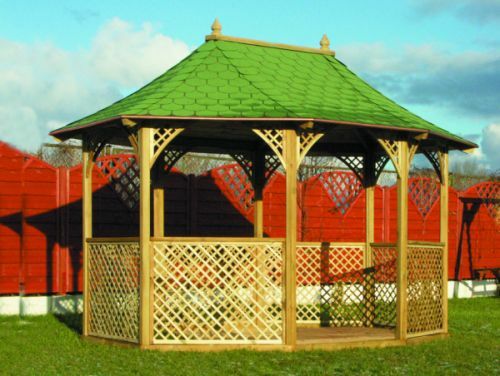 As with all our products the wood is pressure treated for longer life. You are able to have this building with or without a floor dependable on your personal requirements.